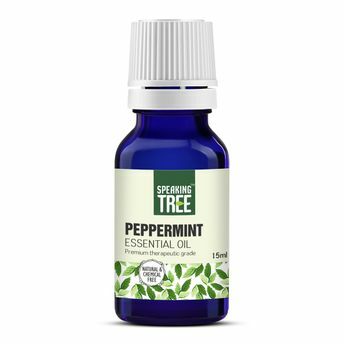 Speaking Tree's Peppermint essential oil is 100% natural and organic. It contains premium therapeutic grade Peppermint which has many benefits for your body and soul. This oil has found several uses in aromatherapy to relieve anxiety, pain and digestive problems. It also helps improve memory. Additional Information: Speaking Tree offers 100% Pure, Natural and Organic Products. It is a small effort to bring the benefits of Mother Nature to mankind in its purest form. What sets Speaking Tree products apart is superior cultivation of ingredients that are the best in the world. Combined with superior distillation and bottling care process. Alternatively, you can also find many more products from the Speaking Tree Peppermint Essential Oil range.